In the wake of the Brexit vote, universities must redouble their efforts to demonstrate how they are using public money to improve society and people’s lives, argues Professor Dame Nancy Rothwell. Universities must do more to encourage, support and reward public engagement. As public institutions in receipt of millions of pounds of taxpayer funds, this has always been true, but in the wake of the recent referendum vote, the need to reach out and explain what we do has become urgent. It is now more important than ever for universities to explain the benefits of higher education, research and innovation to their local communities and the wider public, and to make people proud of the UK’s position as a global higher education and research powerhouse. Now the decision to leave the EU has been made, we need to be more robust in our arguments about how universities better the lives of many who never take part in higher education, and about the value that new discoveries bring to the nation. The vital work that universities undertake to improve the health, and the economic and cultural wellbeing of the UK, did not feature prominently in the debate prior to the recent EU referendum, nor did our many other contributions to widening access or working with local communities. As a sector we took a too instrumentalist approach to the campaign and our views – as well as those of too many experts – didn’t resonate strongly with the public compared to other issues, which concerns me greatly. I welcome the recent guarantee from the Government to match EU research funding until 2020 and hold EU student fees for the next few years, but the future remains uncertain. Universities need to be at the heart of designing the UK’s Brexit strategy and we must do more to encourage a sense of public pride in the UK’s fantastic scientific and wider achievement and contributions, stressing their importance to our economy and wider society. But too often, university staff have limited support or training when it comes to engaging with the public, and relatively few rewards or recognition. As a result, they can struggle to talk about their work to their local communities and to the wider public, which leaves people questioning what is going on behind what they see as the closed doors of universities. Scientists and researchers need to get ‘out and about more’ and communicate what they do and how it may improve everyday life or help solve the many challenges we face. As well as this, they need to share their love of knowledge and discovery, and encourage the public to get involved in their research. Government should also play its part. As the HE and Research Bill makes progress through Parliament, both MPs and Lords could do well to ask how reforms will help improve such engagement. Universities too must do more to support these activities and stop seeing them as something that can be done in spare time. Here at The University of Manchester we will redouble our ambitions and efforts. Social Responsibility remains a core goal in our 2020 ambitions and policy@manchester is expanding to support a variety of policy facing activities and to help staff to improve engagement and impact. Public engagement needs to be encouraged. It should be subject to the same rigorous assessment of quality and impact as research and teaching – it can no longer merely be seen as a ‘soft option’. Universities certainly can’t solve every problem that we face, but we can do a much better job of understanding issues, articulating what we do best and engaging more widely and more effectively with all of our communities. 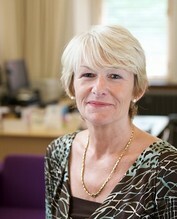 Prof Dame Nancy Rothwell is President and Vice-Chancellor of The University of Manchester.